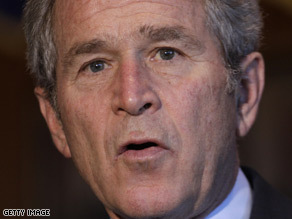 Presidential pardon lists are being closely monitored in the final weeks of the Bush administration. WASHINGTON (CNN) - President Bush Tuesday granted pardons to 19 citizens, none of them prominent, charged with a variety of crimes. Presidential pardon lists are being closely monitored in the final weeks of the Bush administration, to see whether former Vice Presidential aide Lewis "Scooter" Libby will be granted the presidential favor. One of the men pardoned is Charles Winters, who died nearly 25 years ago. His son had worked on winning a presidential pardon for his dad who had helped smuggle weapons to Jews fighting in what was then Palestine in the late 1940's. A protestant from Boston, Winters spent 18 months behind bars - the only U.S. citizen to serve time for helping fly weapons to Jews struggling to create Israel. A 20th person received a commutation of a life sentence for possession of methamphetamine with intent to distribute. That individual, Reed Raymond Prior, was ordered released from prison in February 2009. He will have served more than 12 years. President Bush has granted 191 pardons and nine commutations, far fewer than Presidents Clinton and Reagan in their two-term administrations. That's nothing, Obama's already got Ayers on his list. You know Rob, reading really IS fundamental. Ayers was never convicted of anything you twit. You can't pardon someone unless they have a record. To proud army and navy mom – my guess is you are mom to neither, if a mom at all. How about the untold number of Iraqi citizens killed under Saddam's reign of terror? And while the 4200 deaths of real heroes is sad, one thing to remember, when you join the armed forces there is always the possibility that you will be called upon to fight and quite possibly give your life. That's why it's called the armed services. There's no draft so nobody forced any soldier into any of the armed forces. Get this through your head, it's a VOLUNTEER military. And next time, don't try to lie by saying you're the mother of someone in the armed forces; you shame those who are real parents of heroes. Open your eyes, where have you been lately? Just because you live in America you suddenly "got it made"? Why don't you enlighten us 'O wise one', and explain what that means, because I'm sure the millions of homeless people, those barely suriving, those who've lost everything they've ever worked for, the millions currently jobless, are all waiting for your profound advice. I'd also like to know what you mean by "Freedom is a bit too free". And if you want to talk about respect for others, let's start with our current President. So please, give us an explanation, I'll check back later. That is what they are reporting. People don't be fooled many more are going to come out and the ones we all know about. Justice once again may not get served.